One and only flavor of 100% malt beer with the first-pressed wort. 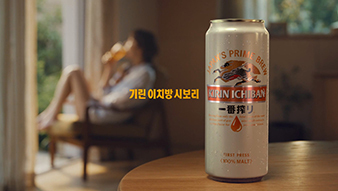 Kirin Ichiban Shibori uses only the first-pressed wort, features a crisp taste and enables you to fully enjoy the deep flavor of barley. 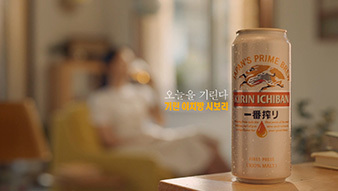 Ice cold bubbles created with the Kirin’s exclusive brewing technology. 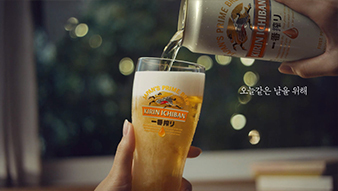 Enjoy the frozen beer bubbles that you never experienced before. Keeps the beer cold for 30 minutes! The frozen bubbles keeps the carbonation longer as it serves as a cap and maintains the perfect temperature to the last sip. In addition, the symbol contains Japanese Katakana letters ki-ri-n. It is a secret that is hidden by the designer who created the symbol.